There are two Evening tour options. This option includes pick-up at Akaroa with spectacular Scenic 4WD van ride to Pohatu with photo stop opportunities. This tour concentrates mostly on the Little penguin but other native and endemic birds may also be seen. e.g the Yellow Eyed Penguins who breed at the bay. Join the tour at the bay. The road to Pohatu is a steep and narrow shingle road and recommended for 4WD vehicles only. If you have a suitable vehicle you may join the tour at Pohatu. Prebooking is essential. Breeding and through Moulting season between September and February. Periodically open between April and September whenever penguins are back at the colony on their pre breeding visits. Over the autumn winter pre breeding visits penguin availability is hard to predict so there can be no on line booking until a pattern of visits can be predicted or the penguin breeding season begins in September when viewing is assured. 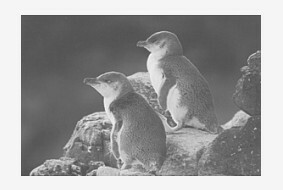 Enquiries to check if penguins are in and tours can run can be made online to tours@pohatu.co.nz or phone 03 304 8542 or through Akaroa Information Centre.The Akaroa Information centre is kept well informed on penguin availability. This trip can be mind blowing in the right sea conditions. The outer coast of Pohatu Marine Reserve is spectacular with towering sea cliffs sculpted through the ages by the sea into rock stacks, reefs, and deep sea caves. Flea Bay Island and the impressive island arch make an added exciting attraction. Please remember to bring hat, sunscreen and sunglasses. This option is for the early riser with tour departing from our booking office at 8am and returning just before 12pm. This is a slightly faster paced tour and does not include the photo stops along the way and is open from the 1st of October to the 30th of April. This is a great tour for anyone wanting a shorter option to explore the area. With a 4WD 9-seater van ride and photo stops en route you will view Akaroa harbour in its entirety, standing on crater rim at our 700m view point, hearing about the history of this beautiful landscape by our local guides. Come with us as we monitor penguin nesting boxes and learn of the conservation work we do in the largest colony of little penguins on mainland New Zealand. Great opportunity to see penguins and their chicks up close on their nests (Note, penguins are only seen in season). Scenic 4WD transport to Pohatu with photo stops, scenic drive to Akaroa Heads and biodiversity monitoring and bush walk, tour of the penguin colony with nest box monitoring in season and refreshments of hot drink and muffins included. Please bring good walking shoes as the tour involves some walking. A 24 hour Pohatu adventure with overnight accommodation in our accommdation including a cosy kiwi bach or romantic Colonial Cottage within easy walking distance of a peaceful safe swimming beach. Includes evening penguin tour in season and all activities of the scenic nature safari and free time to explore or simply relax on the beach. No food included. Sea kayaking at a small extra charge.